Do you guys want to know world's best Smartphones Voice Recognition System has to say when questioning about "What's the world's best Smartphone Ever?" 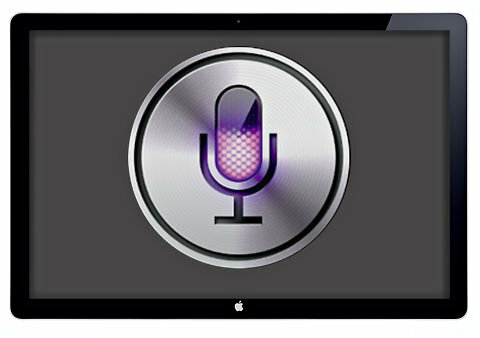 Yes i am talking about Apple's iPhone 4S Siri's Voice Recognition System and Samsung's Galaxy S-III S-Voice Recognition System. The world's top smartphone maker company's Apple and Samsung has introduced a Voice Recognition Features on their own devices i.e. Apple's Siri and Samsung’s S-Voice. When the users of both the smartphones asked the question through Voice Recognition Features the answer was totally different from both Apple and Samsung devices. Both iPhone and Galaxy S smartphone interestingly had given the answer of their competitor name which is Microsoft's "Windows Powered Phone". 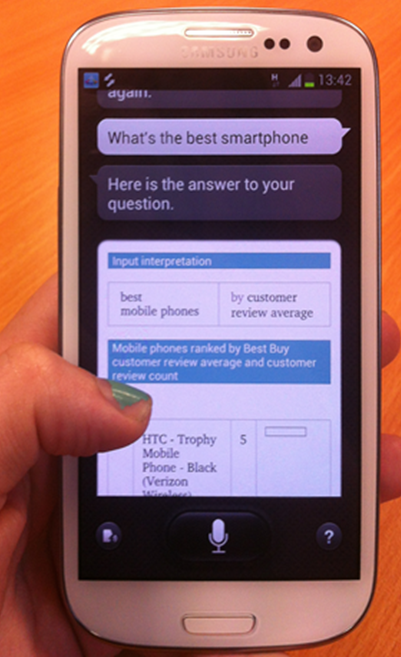 Apple's iPhone 4S Siri's and Samsung's Galaxy S-III S-Voice Says that "Windows Phone is best Smartphone Ever". According to the report from WMPoweruser, when a iPhone 4S user asked Apple's Siri, "What's the best cell phone ever?” Siri responded with Nokia's Lumia 900 as the answer. 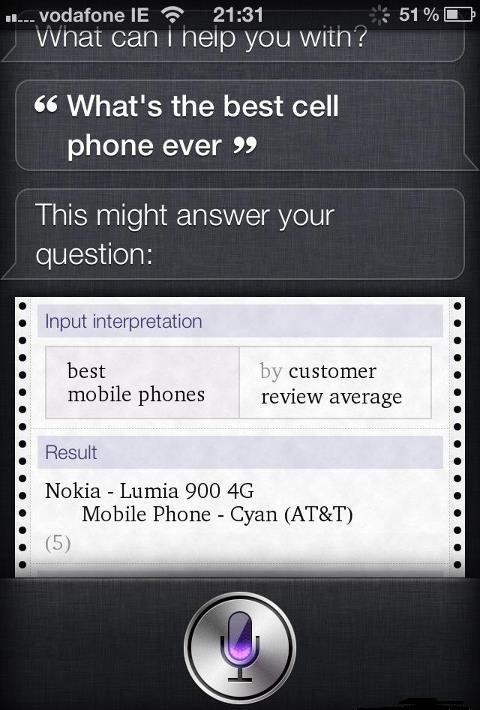 Yes you heard it correct Siri revealed its secret love which is Nokia Lumia 900 4G on AT&T Carrier. If you're thinking that it’s now true than you can find the proof in below Picture takes from iPhone 4S Smartphone with the question asked. According to another report of WMPoweruser, when a similar question has been asked from the user of Samsung's Galaxy S-III S-Voice Recognition System, "What's the best Smartphone?” Galaxy S-Voice responded with yet another Windows Powered Smartphone known as "HTC-Trophy Mobile Phone - Black". Yes this time Samsung’s very-own in-house digital voice assistant, S Voice revealed its secret love for HTC-Trophy Mobile Phone - Black on Verizon Wireless Carrier. You can find the below Picture taken from Samsung's Galaxy S-III Smartphone which shows clearly and revealed the name of its one of the competitors. Well, it’s strange but true that both Apple's and Samsung's Smartphone revealed their competitor names instead of their own when asking a question "What's the world's best Smartphone Ever?". If you guys too have Apple's iPhone 4S and Samsung's Galaxy S-III Smartphones than you can too asked a question with your build-in Voice Recognition System and then tell us in Comments Box! What you have got the answer.